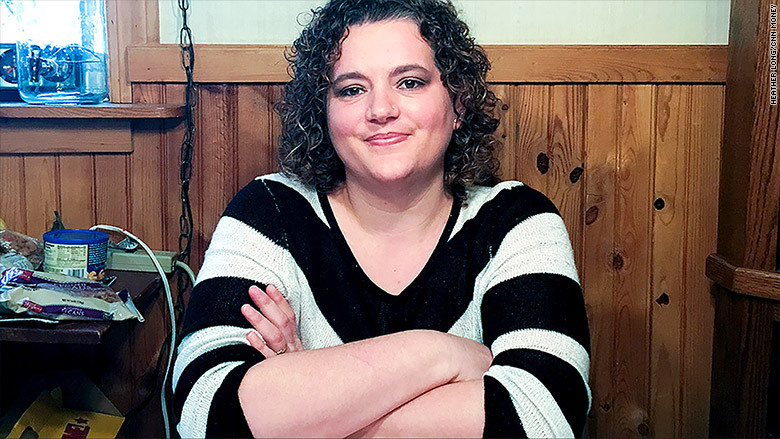 Krista Shockey voted for President Trump in November. Now she's one of the people who might get hurt under his plan to cut safety net programs for the poor and disabled. Shockey is on Supplemental Security Income (SSI), a program to help low-income Americans who are disabled. The monthly payment is just over $700 a month. 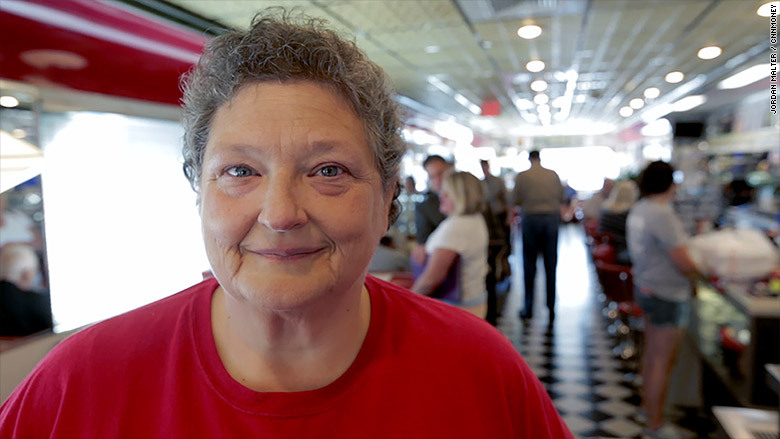 "It's my only income," Shockey told CNNMoney in the fall, when we first met her at Diner 23 in Waverly, a small town in southern Ohio that's seen better days. "I couldn't live" without it. She was stunned to hear the president wants to downsize SSI. She hadn't heard about it until CNNMoney called her. When releasing Trump's budget Tuesday, the White House hailed it as a "taxpayer first" plan. Trump's goal is to get millions of people off welfare and into full-time jobs. For Shockey, that won't be easy. "There's no way I could go back to work," Shockey said this week. "I've got a lot of problems. I'm crippled in my feet, knees, back, hands." Trump has proposed dramatic decreases in funding for food stamps, formally known as the Supplemental Nutritional Assistance Program (SNAP), Medicaid, student loans, welfare (known as TANF) and disability programs like SSI and Social Security Disability Insurance (SSDI). "Honestly, I haven't been following much (news). I've got so much going on with my family. My mother died," she said. CNNMoney reached out to about a dozen Trump voters who either rely on government aid to live or who work closely with the poor. Most were surprised. Krista Shockey at Diner 23 in Waverly, Ohio. She relies on Supplemental Security Income. For instance, America's "poorest white town" -- Beattyville, Kentucky -- voted overwhelmingly for Trump. Any cuts to the safety net would be felt acutely by its residents: 57% of households in Beattyville receive food stamps and 58% get disability payments from the government. "I am still happy with President Trump," says Barbara Puckett, who lives in Beattyville and has been on Social Security disability since the late 1990s because of sclerosis. But she says she would worry if the budget becomes law and she loses her benefit. For now Trump's budget is just a proposal and Puckett's benefits are still the same. William Owens is a pastor in Beattyville. He's the type of person who pitches in wherever he's needed. In addition to leading a church and youth center, he's also a volunteer fire chief and chairman of the local school board. Owens, a Trump supporter, said the president just wants the states and local governments to have more control over how welfare money is spent. What Owens is referring to is the thinking of Mick Mulvaney, Trump's budget director. A former state lawmaker in South Carolina, Mulvaney is a big believer that states are better at crafting safety net programs than the federal government. "We would see this program come down from Washington with all of these instructions on how to use it, and say, goodness gracious, this won't work in South Carolina," Mulvaney said. William Owens is a pastor in Beattyville, Kentucky. Pastor Owens has made it his life's mission to lift people out of poverty. 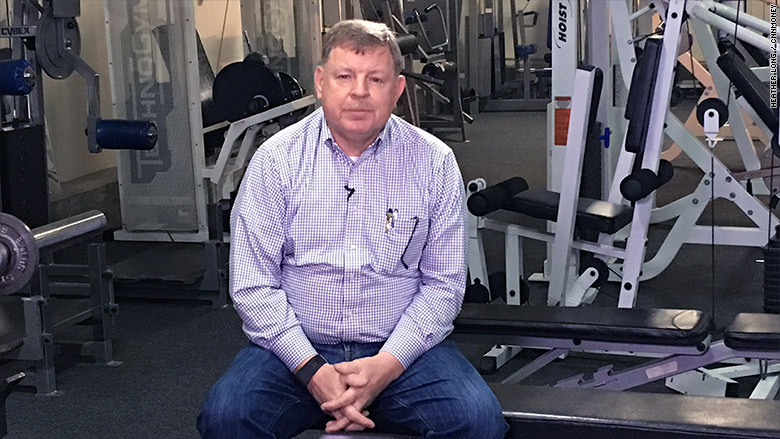 He runs the Kentucky Mountain Mission, which has a bowling alley and gym where a lot of teens hang out after school. He can see both sides of the debate on government aid. He grew up in an extremely poor family as one of 14 kids. They got "about $300 a month" in Social Security because his father was disabled and couldn't work. He works with families today that truly need the aid, but he also sees some that get dependent on it. "I think some of it should go away," he told CNNMoney in January when we visited him. "I believe in a hand up and not a hand out." Any cuts to food stamps and Medicaid will hurt Tyra Johnson's family. Tyra Johnson also lives in Beattyville. She's a 39-year-old mom who receives food stamps. When CNNMoney reached Johnson Tuesday, she was at work. She's earns $8 an hour as a housekeeper at a hotel. She's "not earning enough yet" to get off food stamps. Johnson isn't alone. Nearly a third of families on food stamps have a working member, according to an analysis of government data by the Center on Budget and Policy Priorities. They don't earn enough money to be able to afford to put food on the table and get out of severe poverty. "As of right now, I don't know what I would do" if Trump cuts food stamps and Medicaid, she says. Her two children also receive government-funded health care. Johnson was one of the few in Beattyville who did not vote for Trump. But she's actually doing what he wants: She found a job recently and has come off some government aid. After a car wreck, she received $700 a month from Social Security Disability Insurance for a long time. That aid is gone now, but she says she still needs food stamps. About 44 million Americans are on food stamps today. Enrollment spiked during the Great Recession as people lost their jobs. It has come down a bit since the peak in 2013, but it's still far higher than the 26 million who were in the program before the financial crisis hit. "Common sense dictates that programs like these return to a sustainable, pre-Obama trajectory," says Oren Cass, a senior fellow at the Manhattan Institute. But advocates for the poor say a big part of the reason so many people remain on food stamps now is people like Johnson who have jobs but don't earn enough to support a family. 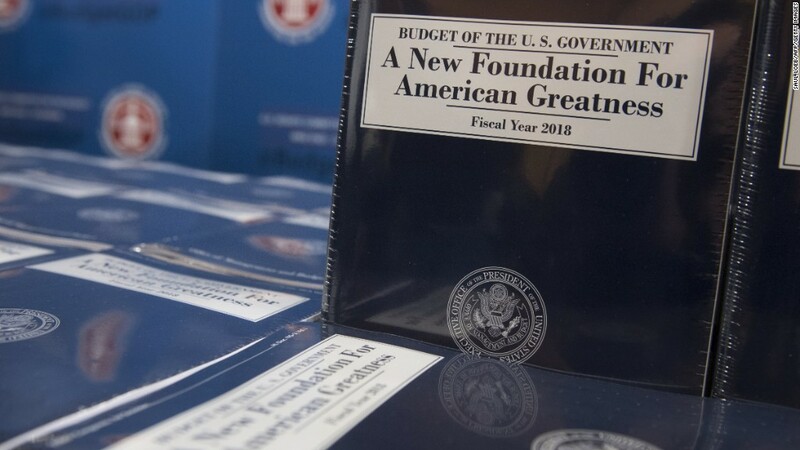 Trump's budget isn't a done deal. Republican Senator John Cornyn of Texas has already called the plan "basically dead on arrival." Congress has the final say on what programs gets more or less money. Lawmakers it will almost certainly make changes to what Trump has proposed. But for many in Trump country, Johnson sums up the feeling right now: "I'm still trying to process all of this."